Arduino Board is quite popular among many people who want to get started with electronics, and unlike other embedded system boards Arduino does not require any additional hardware to upload the code (generally known as programmer). The Arduino Program can be written and uploaded using the Arduino IDE that needs just an USB cable to connect. 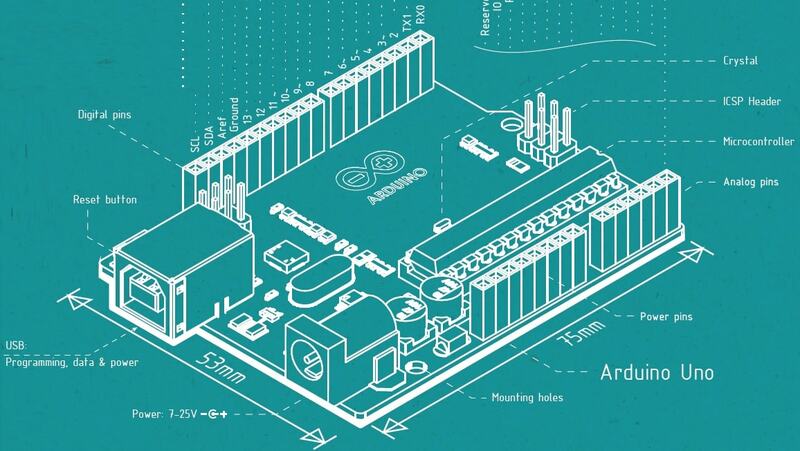 Since the interface is simple and complicacies are less, Arduino is preferred by most of the aspiring engineers. Here, we will try to understand the Arduino Architecture and its functionalities. In the recent years the Arduino has been the microcontroller (or the Brain) for most of the projects. This is possible due to the simplified technology and user friendly interface that Arduino provides to the makers, from students, hobbyists to the professionals. Arduino technology is more focused on fast prototyping, aimed at the amateurs who want to get started in electronics and projects. Over the years, Arduino has transformed from simple 8-bit board to an integrated part of wearable, IoT (Internet of Things) & other advanced technologies. Arduino interface is easy to use for the amateurs and yet provides the flexibility to do advanced projects. Flash memory: It is a non-volatile memory that is used for storing application, which explains why you don't need to upload your application every time you unplug Arduino from its power source. SRAM memory: It is a volatile memory that is used for storing variables used by the application when it is running. EEPROM memory: It is also a non-volatile memory that is used to store data which must be available even after the board is powered down and then powered up again. The processor of the Arduino Board uses Harvard Architecture for which the program code and program data have separate memory. The memory of it is divided into two namely program memory and data memory. The data will be stored in the data memory whereas the programme code will be stored in the flash program memory. Digital read pin reads the digital value of the given pin. Digital write pin is used to write the digital value of the given pin. Pin mode pin is used to set the pin to I/O mode. Analog read pin reads and returns the value. Analog write pin writes the value of the pin. Serial. Begins pin sets the beginning of serial communication by setting the rate of bit. The Arduino Software (IDE) runs on Windows, Macintosh OSX and Linux Operating Systems. But most microcontroller system software requirements are limited to Windows only. The Arduino Software is provided as an open source tool for the beginners and students to write and upload the program onto the microcontroller. It is similar to the processing programming environment so you can get used to the interface immediately. The Arduino programming language can be extended to multiple C++ libraries and you can also use AVR-C programming on this system. With this, you will be able to add AVR-C code onto the Arduino Programme directly. Initialization is written in the setup function and Control code is written in the loop function. The sketch is saved with .ino format and operations like opening a sketch, verifying and saving can be done using the tool menu. The sketch must be stored in the sketchbook directory. Select the suitable board from the serial port numbers and tools menu. Select the tools menu and click on the upload button, then the boot loader uploads the code on the microcontroller. Since it runs on Mac, Windows and Linux, it is used by large number of communities for building projects. Arduino can be used to build simple scientific projects that would prove some chemistry & physics principles or it can also be used to build electronics and robotics projects that involve programming. Builders, Architects, Designers, Musicians, Artists, Engineers use this technology to build interactive prototypes to experimental musical instruments etc,.